If you witnessed a crime take place and did nothing to stop it, did you help perpetrate that crime? The answer to that, in Florida law, is no. You do not have to intervene to aid an injured or dying person in the aftermath of a traffic collision, shooting, or stabbing. You do not have to make a citizen’s arrest or help a struggling police officer hold down and cuff a dangerous and wildly flailing assailant. On the other side of the coin is the question of your rights to make a citizen’s arrest or help stop the commission of the crime. What force can you use? 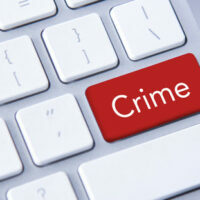 What crimes can you help stop from taking place? Can you chase down a burglar or drag someone out of their car for a hit and run? Arresting a drunk driver or stopping them from driving. However, it is unlawful to arrest a shoplifter if you are not an employee, use unreasonable force to make an arrest, arrest a person for violating a routine traffic law (not including a hit and run, however), or to use handcuffs or detain them for more than an hour. Unfortunately, not every good deed goes by unnoticed, and you can actually be severely penalized for making a citizen’s arrest even if the perpetrator was guilty of a felony. If you were involved in making a citizen’s arrest and were sued or have had charges pressed against you as a result, you need immediate legal assistance. Call the West Palm Beach attorneys at the Skier Law Firm today at 561-820-1508 for help.